Suhaimi is not only generous with his smiles. The CEO of fund manager Quantedge Capital, who is a lawyer by training, also gives back with his time and knowledge. 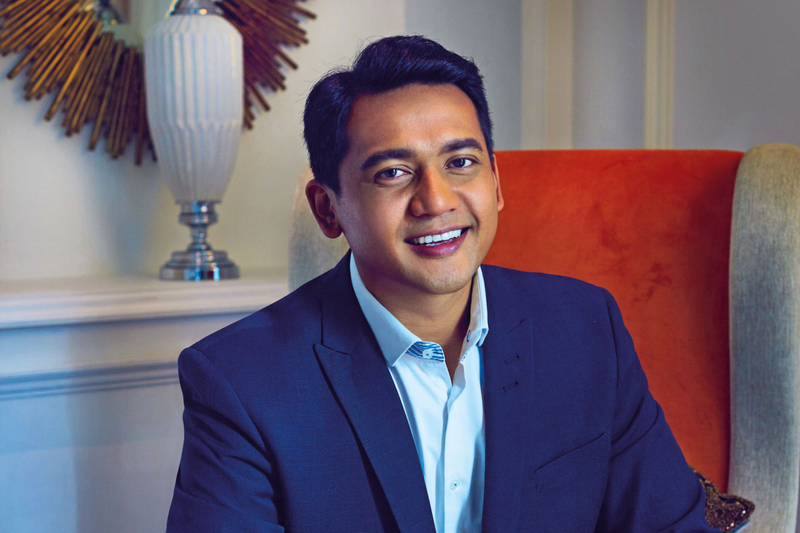 In addition to serving as director of Quantedge Foundation, he also holds appointments in organisations such as Charity Council, Mendaki Social Enterprise Network and SkillsFuture Singapore Agency. Through the connection of Tan Chin Hwee, who mentored the founder of Quantedge Capital, Suhaimi has also been helping the Community Chest (ComChest) by actively participating in the Venture Philanthropy Partners discussion, which led to new projects like Project Elevate and the new Onefor10 initiative. The journey, he says, will be more fruitful if you surround yourself with people who believe in the same cause(s), referencing the African proverb, “if you want to go far, go together”. He is especially drawn to socio-economic imbalance and social immobility. These are two concerns of Quantedge Foundation, which endeavours to maximise every Singaporean’s potential so as to ensure no one gets left behind. “The reality is that children from lower-income families have an immense uphill task trying to compete in our education system. There are complex familial issues involved and they generally receive less guidance and mentorship to set them on the appropriate path,” he explains. Suhaimi Zainul-Abidin is eloquent not just when he’s outlining social issues; he is forthcoming even when admitting that juggling his various duties and commitments has been tough. What heartens him is seeing the pool of volunteers grow, especially among young professionals. He credits Singapore’s educational institutions for exposing students to social issues and equity, and the importance of making a difference. Suhaimi Zainul-Abidin feels there is more to gain when one gets involved with philanthropy earlier than later in life. So he’s started talking about it to his children, aged five and three. Another issue close to Suhaimi’s heart is the lack of minority representation on boards, both in the for- and non-profit sectors, never mind the countless benefits that diversity brings. He believes that different races, religions, genders, ages and backgrounds inspire greater creativity and innovation, and allows an organisation to better represent its stakeholders. He hopes to see more young professionals from minority races volunteering for positions of leadership in charities and non-profit organisations. This is an opportunity, he adds, to shape the future of our society.